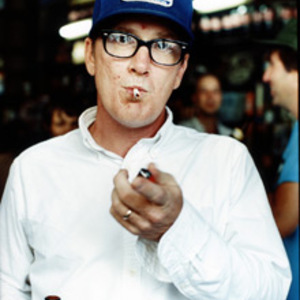 Lambchop is an American alt-country band from Nashville, Tennessee, the capital of country music. Originally called Posterchild, the band (which formed in 1986) cannot easily be classified into a genre and certainly not into that of traditional country music. The collective around frontman Kurt Wagner has a fluid membership, at times including as many 18 musicians, and is frequently associated with alternative country. Lambchop's music combines wryly ironic lyrics that are complex in form and content with harmonious tunes and soulful background vocals. It is indebted to folk and country as much as to the smooth soul of Barry White, Curtis Mayfield or Marvin Gaye and can be seen as a fine exemplification of Kris Kristofferson's famous line: ?country music is the white man's soul?. The Mr. Met Songfacts reports that Lambchop's 11th album, Mr. M was released on February 21, 2012. The LP was originally titled "Mr. Met" after the New York baseball team's ball-headed humanoid mascot, but was changed to Mr. M at the insistence of lawyers.